Home » Health News » Can beer help a mom breastfeed? In Maryland, beer enthusiasts love February. They’ve even renamed it “FeBREWary” to celebrate the joy of drinking craft beers all month long. It’s not intended, of course, for pregnant or nursing mothers. But there’s an old bit of folk wisdom that downing a beer, particularly a stout, can help increase milk production. True? Well, not exactly. In order for a food or drink to help lactation, it has to contain a “galactagogue,” a chemical that increases milk production. According to a 2017 study in the International Journal of Women’s Health, 76 percent of breastfeeding mothers said they were not making enough milk for their children. This same study showed that while one quarter of infants are still breastfed when they turn 1 years old, nearly one-third of mothers stop breastfeeding before then because they believe they can’t produce enough milk. Moms are as apt to listen to folk wisdom as anyone else. Kelly Ripa even broached the topic on her show “Live with Kelly and Ryan” on Jan. 28. Unfortunately for FeBREWarians who might be thinking — this is permission to drink up — beer is not really a galactagogue. The American Academy of Pediatrics (AAP) does not recommend drinking alcohol while breastfeeding and alcohol itself does not increase milk production or help moms breastfeed. 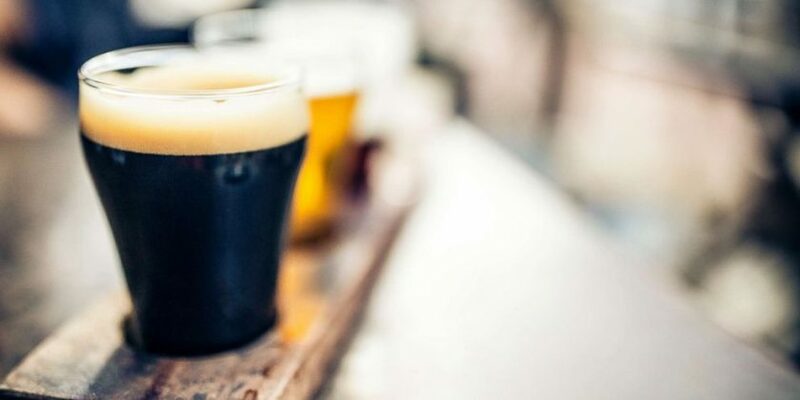 There is some evidence, however, that the polysaccharide carbohydrates found in beer, such as barley and hops, do increase milk production, but these are also found in non-alcoholic beer. Other plant products like fenugreek, Coleus amboinicus Lour — known also as “Mexican mint” — or palm dates do, in fact, appear to increase milk production, according to one recent medical review. The Centers for Disease Control and Prevention recommends breastfeeding mothers avoid alcohol but notes that an occasional or celebratory standard size drink (12 oz. of 5 percent beer) won’t be harmful to the baby. Because alcohol does enter breast milk within 30-60 minutes, the CDC recommends waiting a minimum of two hours after drinking before breastfeeding. Alcohol from three drinks will still be detected in breast milk six to eight hours later, and pumping and discarding the milk during that time window (known as “pumping and dumping”) won’t change that. Of course, everyone should drink responsibly, not just breastfeeding moms. And drinking alcohol during pregnancy is something doctors still advise against. Breastfeeding moms may want to pack some healthy snacks to bring to any FeBREWary events to help avoid any temptation.